Hi beautiful!The process of enlightenment skin becomes faster and more effective when the skin is in good health and have enough oxygen. The polluted air and harmful UV rays can cause the oxygen contained in skin to be lesser. Many are not aware of the radiation IR (infra-red) from the sun and hot objects can cause skin to become dull and dark. Understanding the dream of every girl to have a perfectly clear skin, the number one local halal brand SAFI introduced new formulations in skin care line with formulation of Nano Oxygen and Nano bio white to helps the skin appear healthier and perfectly fair. 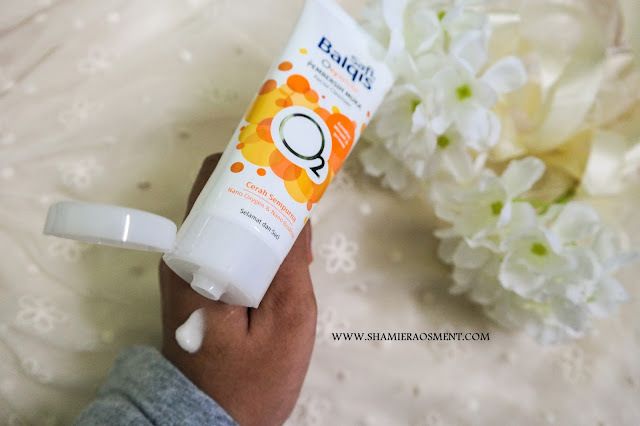 New birth in beauty's legacy is known as SAFI BALQIS OxyWhite. 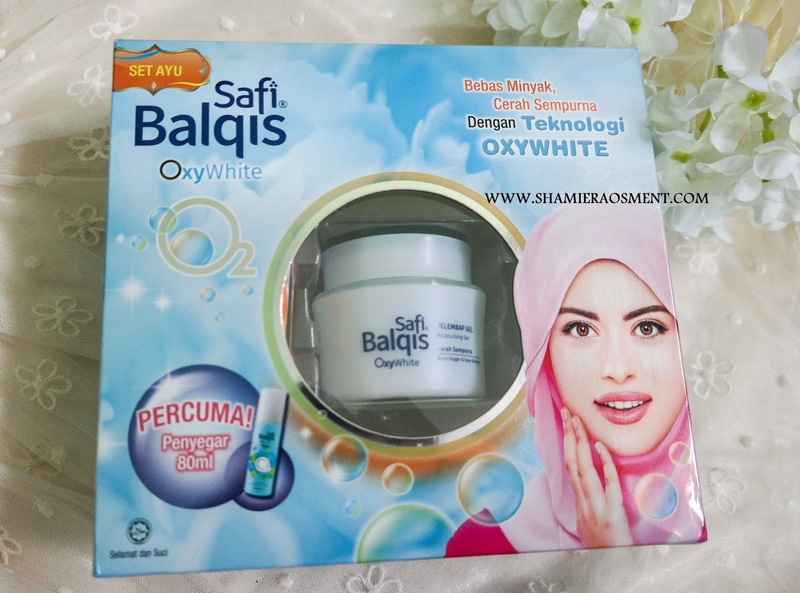 Mrs. Mahsuri Solomon, Marketing Manager of SAFI said that SAFI BALQIS OxyWhite not only give 2-toned skin brighter, it even make healthy skin from within naturally, and every variation of the products provide benefits in treating skin problems that are dark and dull. She also said that when it comes to product quality and effectiveness, every production of products are based on the research done by SAFI Excellence in Research and Innovation (SERI Research Institute) located in Subang Jaya. 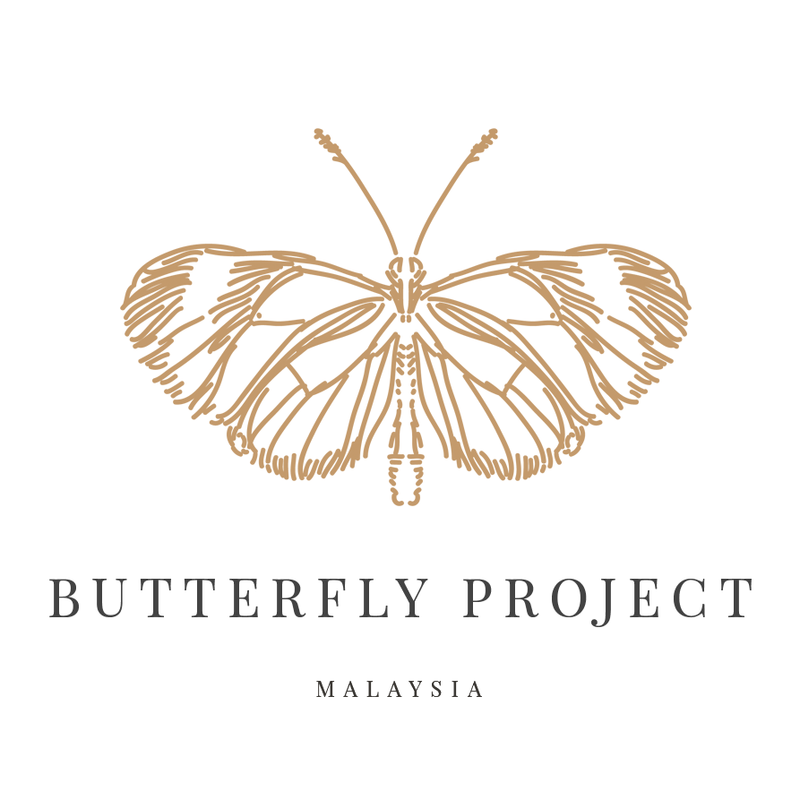 Laboratory Research & Development (R & D) of Southeast Asia's biggest Halal uses global source of high quality and not tested on animals, in order to ensure the effectiveness of the product and strengthen the philosophy and the FI- Safe. The combination of technology and expertise that they have made local products is on par with the international brand products. OxyWhite formulation resulting from the combination of technology with Nano Oxygen bio-white helps skin looks healthy and perfect. Nanotechnology act to releases additional oxygen into the epidermal layer of the skin to activate skin cells. It help Nano bio-white to accelerate the process of skin lightening effectively and slower the process of melanin pigmentation on the skin. As a result, the skin becomes radiant healthy and perfectly fair. Instead of just combining two kinds of nanotechnology, the effectiveness of existing formulations is also be enhanced in this new product. SAFI makeup removers are now equipped with technology that is capable of disassembling Micellar make-up, oil and dust in one sweep. While the benefits of protection contained in Day Cream SAFI also enhanced by technological protection IR (Infra-Red) to protect the face of the Infra-Red radiation from the sun and heat that can cause the skin becomes dull and dark. Adding to the joy in beauty legacy SAFI families, SAFI is proud to introduce Sarah Hildebrand, actress, model and television program as an ambassador lawyer SAFI BALQIS OxyWhite. "For us, she is the epitome girl now. She has an understated personality, but full of beauty in every aspect. She has a sweet face, soft-spoken, cheerful and full of humor but still retains the graciousness behavior. 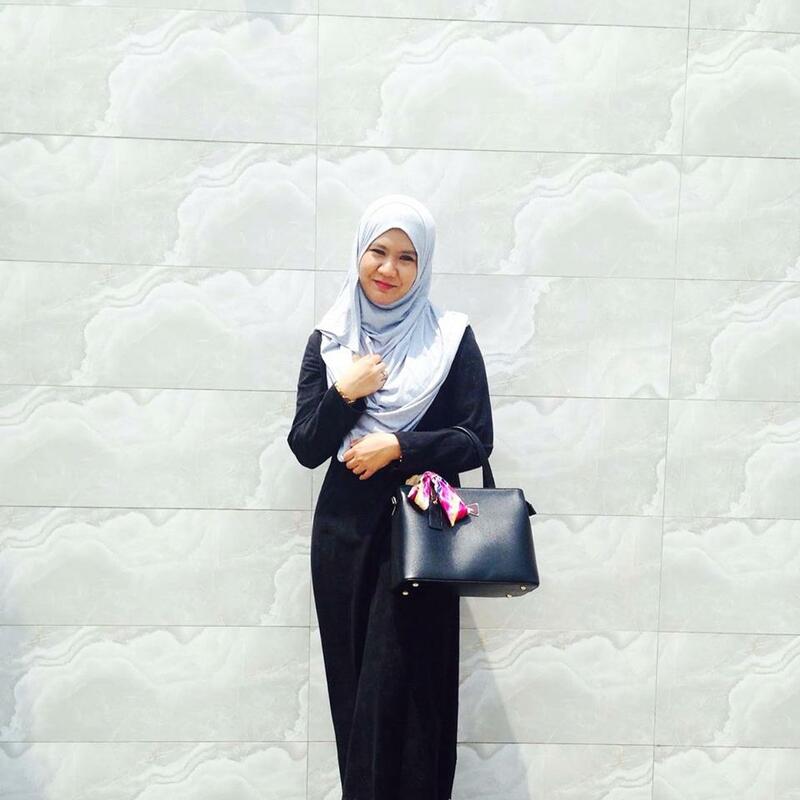 She also have an active attitude and always look fresh in the career field, blowing new life into the industry. Each characteristics makes Sarah the most appropriate individual as our newest Safi Balqis girl," said Mrs. Mahsuri. Commenting on the credibility of Sarah promote SAFI BALQIS OxyWhite, Mrs. Mahsuri said, "With Sarah down to earth personality, she will bring SAFI BALQIS to get closer to consumers, especially the girls who dream of the perfect radiant skin. With her own experience as a consumer and ambassador SAFI BALQIS OxyWhite, Sarah would be an example, and 'true friend' in helping girls find the solution enlightened age face the best. Her manner was friendly and approachable bring confidence in our products to deliver the message of beauty to all women ". 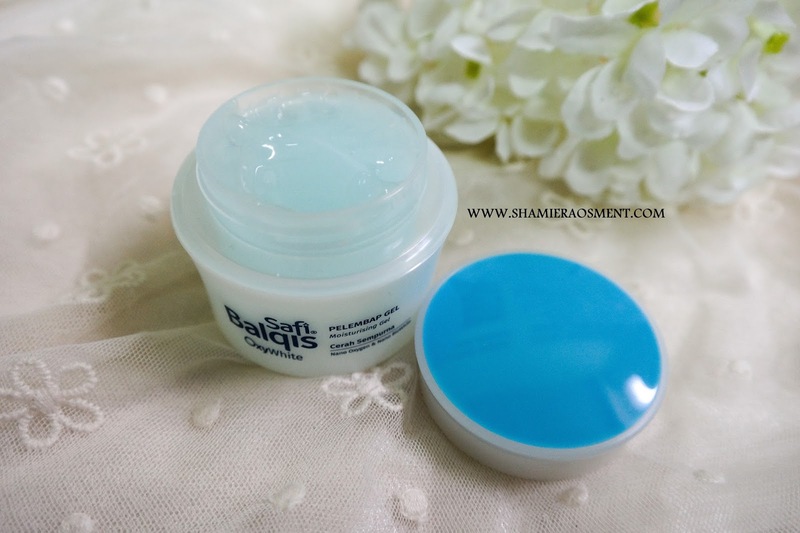 SAFI new formulation BALQIS OxyWhite present in attractive packaging and product design that easy to carry .The combination of blue sea and bright green elevates the soul of the girl that also appear fresh and radiant, and this used on the packaging for SAFI BALQIS OxyWhite for normal skin products. While the combination of orange and yellow hues that give a cheerful mood and confidence used on the packaging for SAFI BALQIS OxyWhite oil control products. Along with the new look packaging design, SAFI also change the design of the logo and typography to look more modern to attract users. The new logo appears more simple and trendy matches the personality of SAFI BALQIS a young, fresh and always confident. My review : Face become refreshing after using this cleanser and it quite effective removing the make up. My Review : It does clean my skin and it is light and help to reducing my big pores. My Review : I do love the new enhance formula of this moisturizer, it is hydrated, did not leave a sticky effect even after a long day. Make my makeup still looks great and of course I love it smells. wahhh ! safi come out with new packaging! look new & fresh ! My sister is wearing the same product for her skincare! Maybe it suits her skin very much. Do visit me if you've free time. nice range to use and my sis too using this.suitable for her to use. tgk moisturizer tu rasa mcm nk pkai safi smula..
moisturizer tu mmg best..sy pakai hari2..